Indoor plants have made a comeback thanks to Instagram. And for good reason. Not only are they lovely to look at and can easily brighten up any room, they provide added oxygen and moisture to the air. They can even act as humidifiers if you have enough of them. In fact Korean beauty has been touted with using indoor plants as a trick to plump up skin and keep it extra hydrated. 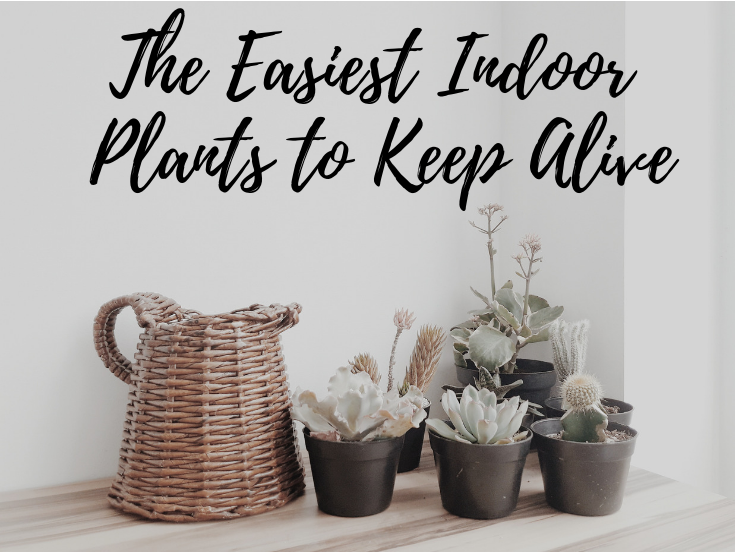 If you want to jump on the indoor plant trend, but don’t necessarily have a green thumb or time to devote to temperamental plants, here are few that are not only easy to take care, but that also easy on the eyes. Succulents – You usually can’t go wrong with succulents. They can thrive indoors or out, require very little water so if you forget it’s not the end of the world. Plus they come in a variety of pretty colors and usually fit in any style of home decor. Snake Plant – This is one of the top plants to have for those that forget they even have plants in the first place. Exotic with waxy leaves, it only needs water every couple of weeks. Spider Plant – A very popular indoor plant, you’ve surely seen them at a friend’s or in the nursery. Popular because they’re fast growing and only need to be watered weekly. Peace Lily – A beautiful exotic plant with lovely ivory colored flowers, they usually grow tall with a sturdy composition, yet an elegant look. 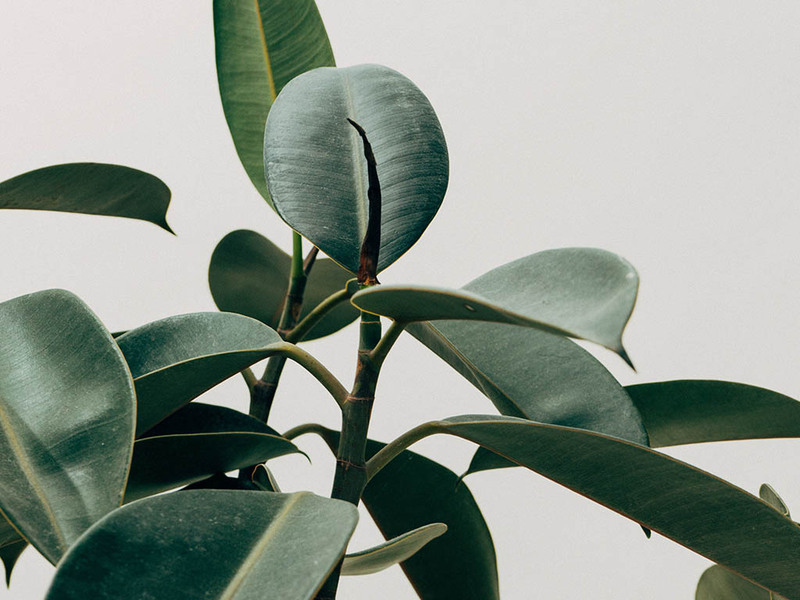 Rubber Plant – If planted correctly, these sturdy green plant (second photo from the top) can grow and grow and grow. Watering depends on the season. During summer they prefer to be moist, but not drenched. The rest of the year they require very little water. Ponytail Palm – This exotic mini balm requires very little water and will make your apartment feel like a vacation home. Phalaenopsis Orchid – These gorgeous orchids originated in tropical Asian countries, so they’re perfect and thrive in more humid environments while needing very little water. 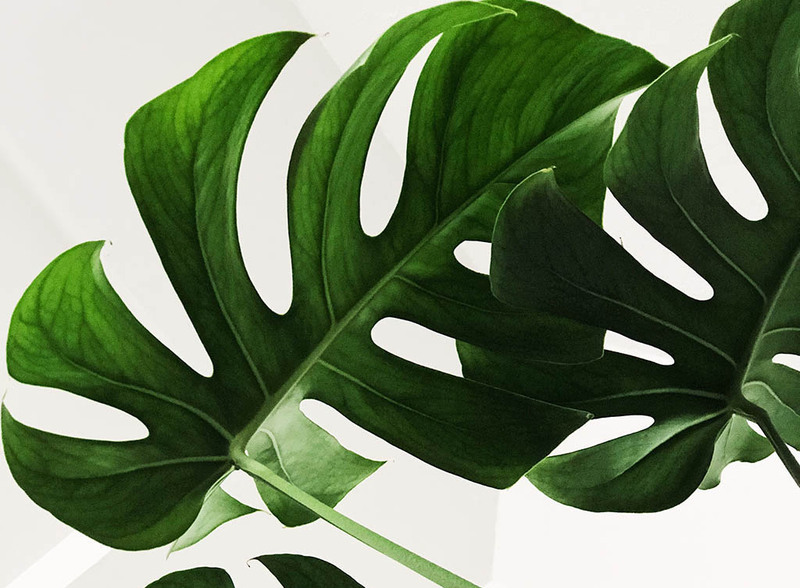 Philodendron – This super trendy house plant (can be seen in the top photo) will bring that gorgeous greenery that you so desire, while needing little water. They prefer to live on the dry side, perfect for forgetful plant owners.